Pressbooks is a self-publishing platform for WordPress, that I’ve used for several publications and been very happy with. If you’re already using WordPress, and are familiar with its dashboard, then it makes self-publishing a breeze. And not only does it export for kindle and other e-options, but also print-ready pdfs. So if you want to go hybrid – with both e and printed versions of your book – then you have this option. You’ll see when you visit Pressbooks, that the makers are book lovers. 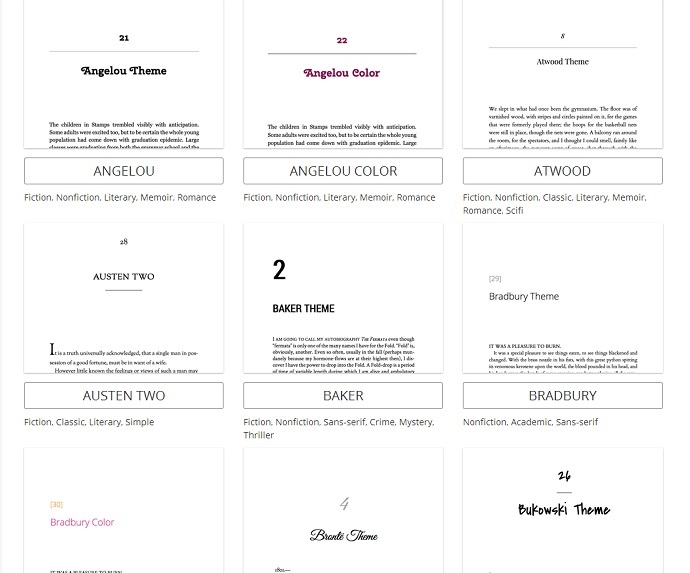 There are lots of different options for layout and design with lovely literary titles: Angelou and Atwood, Mailer, Lovecraft and Vonnegut. You get the gist, am sure. And if you’re wondering whether to self-publish, here’s a post by Hugh McGuire, Pressbooks founder, which may help steer you. Something to mill over while you enjoy those eggs, maybe. Reblogged this on ecoestateagent's Blog.